Over the last two and a half years many of you had heard my enthusiasm about the Ooma Telo home phone system, which has been saving my family money hand over fist. 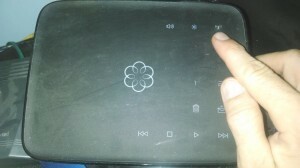 Thus far, the Ooma Telo has saved us over $750 over my previous phone service. However, I’m not here to repeat my glowing reviews about the Ooma home phone service. No…I am proud to announce a new service that Ooma is offering! 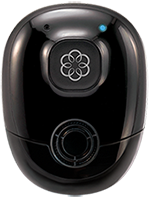 It is called the Ooma Safety Phone, and it is just as easy to setup as the basic Ooma Telo phone system. This little device can be used for elderly friends or relatives if you are concerned that they might fall or young kids that are left home alone and might need to contact a parent quickly. Ooma Premier Service – the Ooma Safety Phone won’t work without the Ooma premier phone service, which is $9.99 more per month than the basic service. 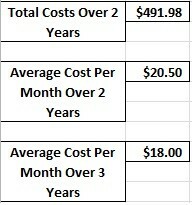 In total, the premier service plus my taxes and fees are about $13/month. 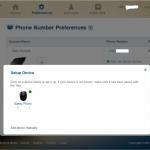 How to register your Ooma Safety Phone – when you first boot up the Ooma Safety Phone you hear a robotic voice tell you, “Not registered.” In order to register your Ooma Safety Phone you need to hold down your wireless button on your Ooma base unit [see the picture to the right for more details]. Make sure you keep you Safety Phone on the charger, and hold down the wireless button for 3 seconds. 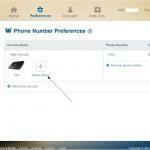 Then go to http://my.ooma.com/devices and click on “setup device.” Accept the agreement, and then you should be good to go. Now you can customize how you want to speed dial when you press #1 or #2. Speed Dial #1 & #2 – with these speed dial options you have the option of calling multiple numbers and/or e-mailing and/or texting people that you specify. Pretty neat if you ask me. Monthly taxes and fees – depends on where you live. Check here to calculate. 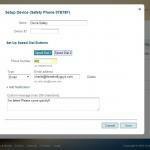 Setup – I’d highly recommend using the above registration steps to register your Ooma Safety Phone. Overall, I was amazed at the ease of use of the unit and it’s definitely a great alternative to other alerting services. Plus you can save a lot more when you amortize the costs over two or three years. 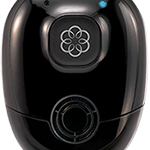 I’d highly recommend checking out the Ooma Safety Phone if you are in the market for alert safety phone and you are concerned about a loved one. Check it out today! The Ooma Safety phone appears to be unavailable on Amazon / Ooma at this time. Contact Ooma for more details. This post has been made possible by the fine folks at Ooma. Please see our site sponsors page (we only work with companies we like/trust). Disappointed that the unit has no replaceable batteries (per the owners manual). Battery life is listed as 2 years dependent upon use. This means either throwing the phone away or having to return it for service. I’m probably going to order one since Ooma is offering a 30 return policy. Dependent upon the voice and audio quality we will see if its worth keeping. Hey, Charlie, how’s it going? Hearing great things all over the web about Ooma. Looks like a huge money saver!